What should you do when your chamber is being outpaced by change? Or when your member market has changed significantly (and your organization hasn’t)? Or when your chamber’s very existence is threatened? 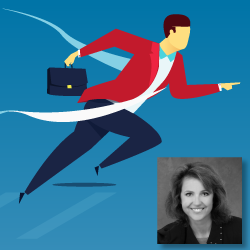 Join us on Thursday, July 26th, when membership expert and guest presenter, Mary Byers, will lead the webinar: Permission to Win when Nothing is Certain. This is a free webinar for everyone. Register now to save your seat on Thursday, July 26 at 10 a.m. PDT / 1 p.m. EDT.